Talk about a dream boss! Somehow we doubt Dwayne “The Rock” Johnson (41) will ever have a dirty house again after doing this! 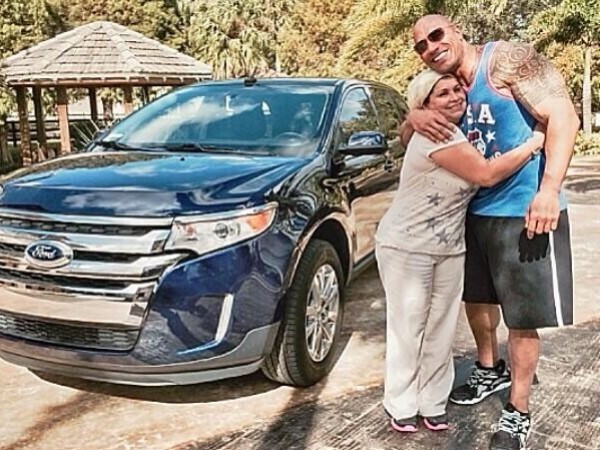 The Fast & Furious 6 star and one-time wrestler splashed out on a new car – a Ford Edge - for his housekeeper to say thank you for her years of service. “10yrs she's looked after our home like a loving mama. Just surprised Esperanza with a new ride! WeLoveU” the top grossing-actor of 2013 tweeted. Sigh, just one more reason we love The Rock.